Our second daughter, Shane, has just turned five years old! And it’s a week-long celebration! Shane is doing some ballet moves at the poolside of Seda Capitol Central. Even after almost 10 years, I still sometimes cannot fully believe that I was able to bear a child, let alone two. Because of God’s grace, we now have two lovely daughter and our youngest has just turned five years old. As a parent, it’s kinda hard to imagine where time went. While you are happy that they are growing up, you tend to feel a bit sad that you no longer have a baby. I could still remember how I went to the Riverside Medical Center one Sunday afternoon and just told the nurse on duty that I wanted to have a C-Section. 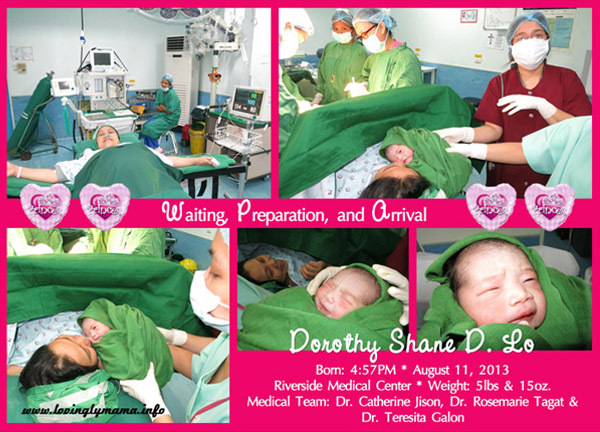 Giving birth to Shane through C-Section at Riverside Hospital (Don Pablo O. Torre Memorial Hospital). And now, Shane is five years old already! On Facebook, Shane is famous for the hashtag #shanenanigans because of her witty remarks and our candid exchanges. If I haven’t given birth to her, I would think that she’s like a grown up trapped in a little girl’s body. Such profundity in her statements and such extensive vocabulary! 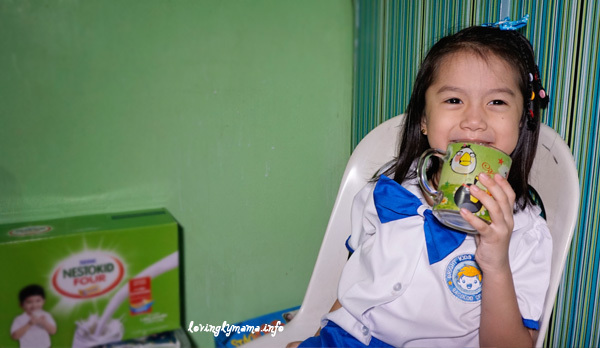 We started the week with a simple birthday party with her classmates and teachers at Bright Kids Preschool. 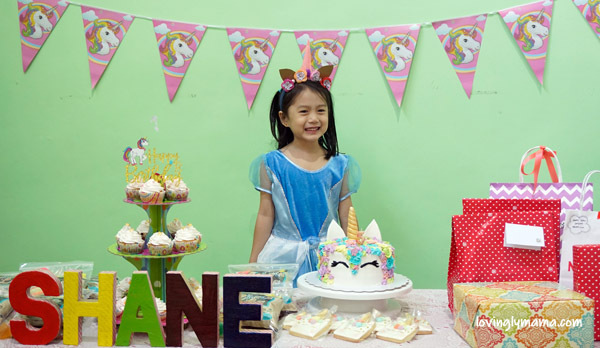 Shane wanted to spend her birthday with her classmates but we were given an early schedule on August 6. She acknowledged that she turned 5 years old already on that day. Shane’s birthday weekend at Seda Capitol Central. 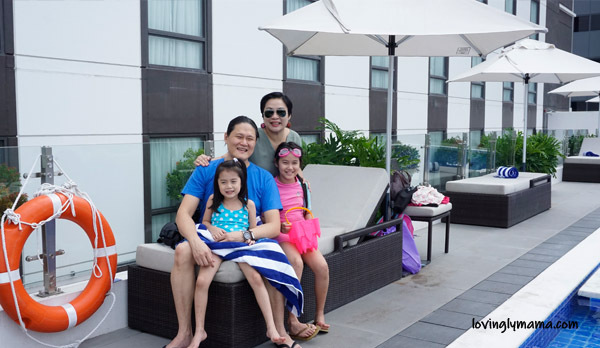 When weekend came, we checked in at Seda Capitol Central Bacolod for a staycation. Then we had a family dinner that night, which was her exact birthday. Shane got to blow another candle on a cake. After that, she said that she turned 6 years old! haha She’s a funny one. Her birthday dinner with the grandparents at Rodrigo’s Cansi House. 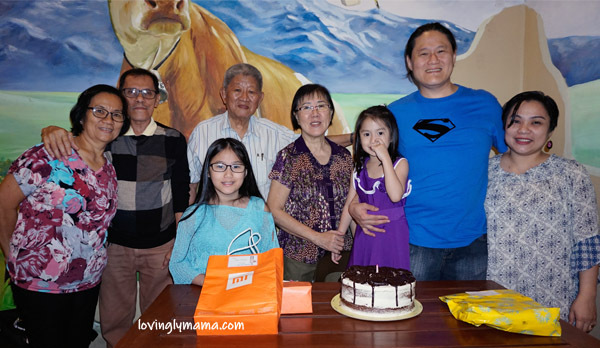 And today, since we had a birthday weekend at Seda Capitol Central, she said, she’s already 7 years old. She is very consistent with her answers every time somebody asks. We are encouraging creative thinking at home. We also try to raise our kids with enterprising spirits. 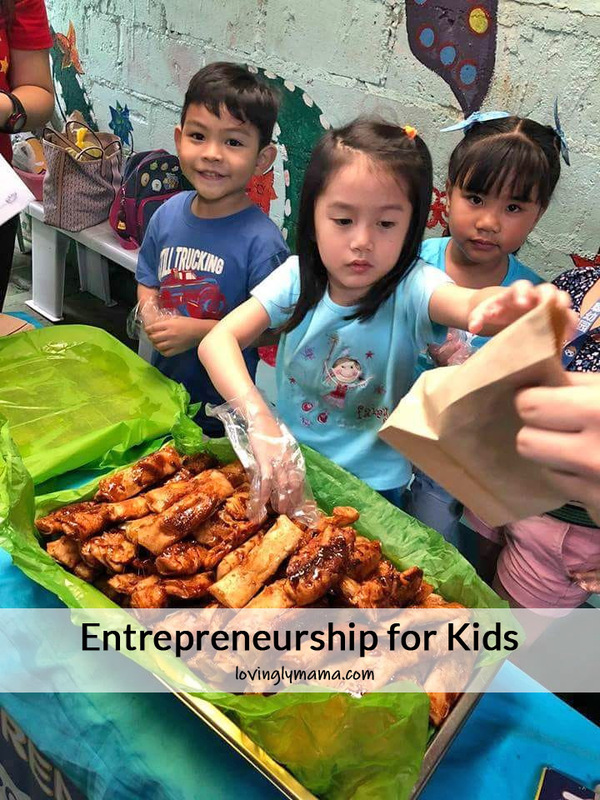 Teaching entrepreneurship for kids is intentional for us. Shane actively sells banana turon during their Entrepinoy day at Bright Kids Preschool. Shane has had so many plans. For the longest time, she had planned her restaurant, including the name and the dishes that she will serve. She also said that she will have food carts. By this time, Shane’s palate is still pretty simple. 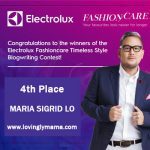 Her greatest favorites would be white mushroom, laswa (Ilonggo-style native vegetable soup), steamed broccoli, omelet of minced meat, cabbages, and carrots, fried lumpia, and fried chicken skin. Moreover, Shane loves ballet. 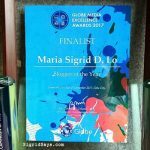 She studies classical ballet at the Garcia-Sanchez School of Dance here in Bacolod City. 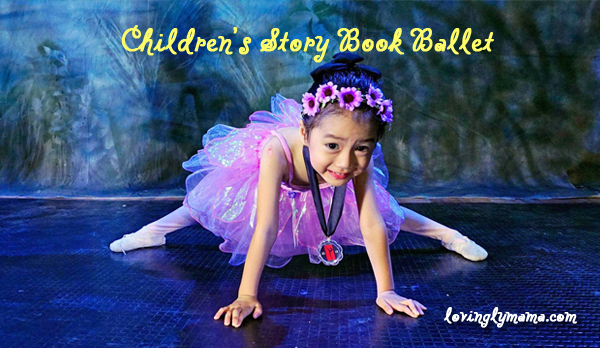 Last summer, she even joined the Story Book Ballet Recital for kids. 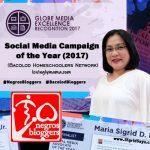 One of Shane’s achievements in her young life is being chosen as an influencer of Nestokid for the Visayas. Eventually, this follow on formula will be renamed Nestogrow. 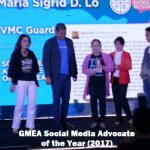 This may not be awesome for some, butit’s just so nice that she was chosen because the hashtag of Nestokid | Nestogrow is #GrowHappy. And indeed, she is one happy camper. Just recently, Bright Kids Preschool held their Araw ng Wika celebration. All the participants modeled modern Filipino costumes for kids and introduced themselves in Filipino. They also had a dance number. Shane won the First Prize for the Kinder class. 🙂 She looked amazing! At the Araw ng Lahi celebration of Bright Kids Preschool at City Mall. 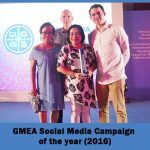 Shane wore a modern Filipiniana gown. The future is bright for this little kid. We continually pray for her that God will mold her into the best version of herself. God bless you, Shane! 😀 Happy 5th Birthday! First of all Happy Birthday Shane. She is too sweet and lovely. And very pretty too. Lucky you. Happy birthday to your wonderfully talented and pretty daughter Shane. 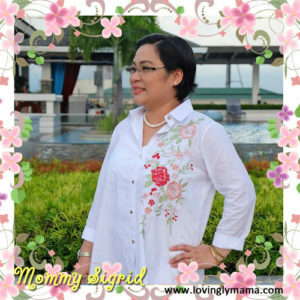 I can relate to your feelings – time does go by so quick! You blink and they’re grown! Happy birthday, Shanenanigans! Work it girl, you are adorable and your mama loves you so much! Send that precious kid all my love from NC! Happy Birthday to your little one. Five is a great age and I am sure Shane had such a brilliant time celebrating. Wow, sounds like you spent her birthday well. Shane is so pretty and meaningful. 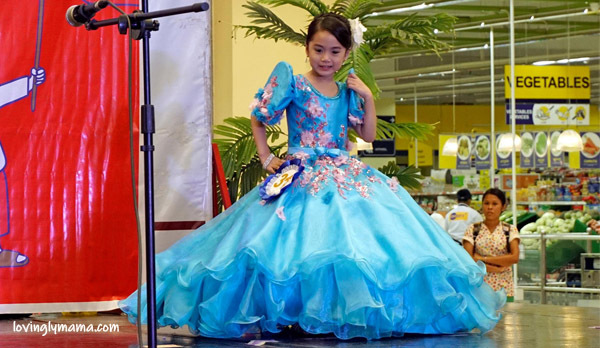 She is so cute and I loved her Filipiniana dress. Happy birthday to you Shane! Congratulations on your fifth birthday! Shane is a beautiful girl. I remember when my teenager was at that age. They’re so sweet. Happy birthday Shane! This little girl is going places, look out world! Congrats to her as well on her first place win! A week long celebration is the perfect way to have a birthday. I bet you’re wondering where the time has gone now x Happy birthday Shane! Happy birthday Shane. I can see you had a great birthday. My daughter loves pretend play too. Five is such a wonderful year because kids become so much more self sufficient. Happy Birthday to your daughter, Shane, I hope that it was one of the best birthdays she’s ever had. Happy birthday to your lovely daughter Shane. May she grow up to be an even more successful and beautiful human being. Congratulations on turning the big 5 for Shane. They just grow up way too quickly. I can hardly believe my daughter is 12 already. 5 seems like just yesterday. Happy Birthday Shane! These photos are so pretty and that dress is amazing! It’s also so great that she already has an idea of what she wants to be when she grows up.